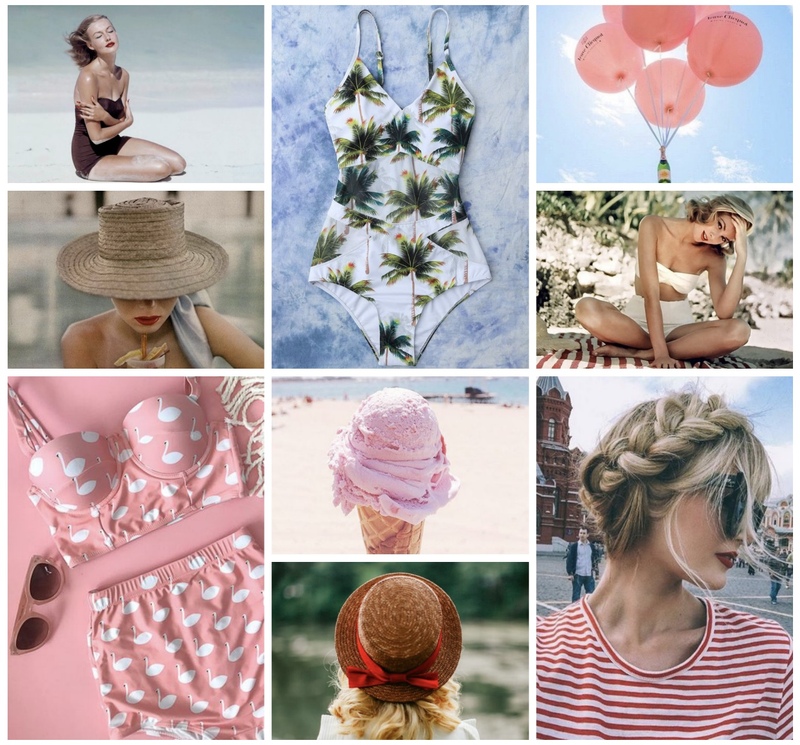 This month I have a wedding, a weekend getaway and a few other bits and bobs to go to too, so I’ve been throwing together some ideas, fashion and otherwise on my Pinterest account and thought I’d share some of my favourites with you guys! Clearly I’m feeling very vintage with the high waisted bikini’s and the 1950s swimsuit silhouettes. My love of boater hats is stronger than ever these days and I’m keen to get my plaiting on (especially helpful to keep cool on really hot days!) and of course, I’ll need a heady mix of of ice-cream and champagne too, because whyever not?! What about you guys? What are you feeling for Summer? Thanks Nina, I hope you have a lovely day too! Loveeee everything about this. Feeling all these vibes and loving your blog !! Thanks Anna Lisa, you’ve made my day! Love this mood board of yours. Awesome. I am planning my Euro Trip for this summer . Excited. I love this mood board! It’s so summery! We love vintage style! The palm tree swimmers are so cute! We need them! Are they gorgeous? Perfect for Summer! I’m loving your picks! I have a couple of those Esther Williams bathing suits and they are so cute and flattering. You should get one! Thanks Colleen, I might just have to do that! !